Where is Pamela Beaird Hensley (AKA Pamela Baird), who played Mary Ellen Rogers on Leave It to Beaver? 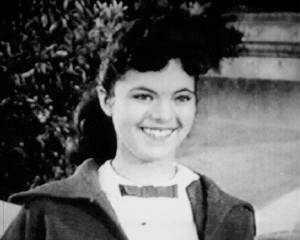 Pamela Beaird Hensley (AKA Pamela Baird) played Mary Ellen Rogers in the original Leave It to Beaver (LITB). When this webpage was first created, there apparently wasn't any information that could be found on the internet on what became of her, and a lot of fans really desired to know what happened to Pamela and where she is now. Periodically, LITB can also be seen on Antenna TV. According to several articles on the internet, Pamela Beaird Hensley was supposedly last seen by fans on Perry Mason and Mr. Novak in 1964. Mary Ellen Rogers appeared in several episodes of Leave It to Beaver, and was mentioned on many, many other segments of the show. Wally Cleaver dated her, took her to the movies, took her to dances, walked her home, went over to her house, etc. Wally was married to Mary Ellen on The New Leave It to Beaver two decades later, but Mary Ellen was played by another actress, Janice Kent. Pamela Beard Hensley also played in My Friend Flicka (9 episodes), Bachelor Father, The Danny Thomas Show, The Adventures of Jim Bowie, The Wonderful World of the Brothers Grimm, Adventures of Wild Bill Hickok, and many more shows. 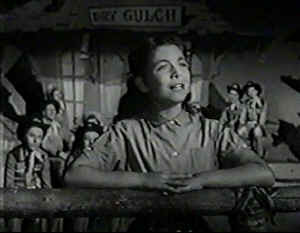 Pamela Beaird Hensley appeared as herself in 1956 on The Mickey Mouse Club, where she was the Talent Round-up Day Winner. Pamela also appeared as a regular on the Dixieland Small Fry with Bill Hollingsworth show. She has a wonderful singing voice, as can be heard on the album This Too Is Hollywood. Pamela is only 12 years old in this clip. Pamela along with two of her cousins sing Amazing Grace near the end of this clip. When the Wikipedia article first appeared, apparently the creator of it did not know when or where Pamela Beaird Hensley was born, or anything else about her after 1964. *Note: Wikipedia article was updated on March 1st 2012 with more current information. During my research on the internet, I found it amazing how many fans of Pamela Beaird (Baird) Hensley and Mary Ellen Rogers, including me, were sincerely desiring to know where Pamela is now, and how she is doing. After having this webpage up for several weeks, I finally found and contacted Pamela Beard Hensley (AKA Pamela Baird), and she wrote me back on July 25th, 2011. She has been doing well. Pamela had just completed her Masters in Education, already has a BS in Music, is living in the southern United States, and was just about to start a music and drama teaching position at an academy. She is married to Bob Hensley (AKA Jericho Brown), has had five children, and loves being a mother. Also, to correct some of the bad info on the internet, Pamela did appear on one episode of The New Leave It to Beaver, titled Yesterday's Gone. She has been living a very full life. Obviously, a lot of information on the internet is incorrect and very incomplete. As of 2013 Pamela is now working on her doctorate. Yes, she is a very motivated individual. God bless you Pamela!! You still have a lot of fans out here, and are getting more and more new young ones (such as my children) all the time. Robert Hensley, AKA Jericho Brown, passed on from this life to glory on May 22nd, 2016. Bob was 80. Photo taken at NASA in Houston Texas, about November 20th, 1964. Ladies L to R: Joan Richards, Pamela Beaird Hensley, Mrs. Charles Tatum. 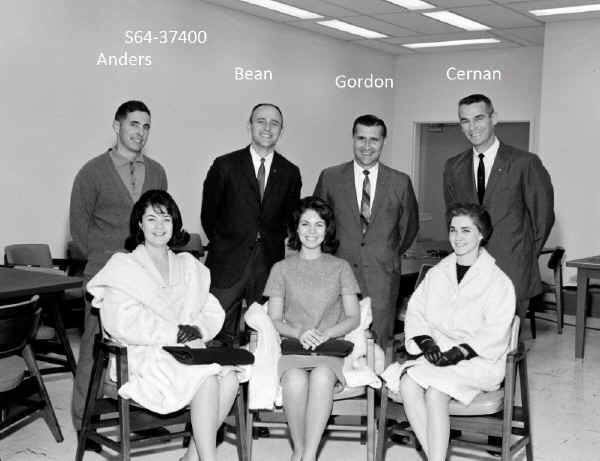 Astronauts L to R: William A. Anders, Alan L. Bean, Richard F. Gordon, Eugene A. Cernan. Pamela is 19 years old in this picture, and Joan Richards is actually her sister. Photo courtesy Bill Taylor of NASA. Bob Newman's official site...and Gertrude too! Whatever happened to Pamela Beaird (Pamela Baird) who played Mary Ellen Rogers?